Very often, it is desired to make a shader that reads from the same screen to which it’s writing. 3D APIs, such as OpenGL or DirectX, make this very difficult because of internal hardware limitations. GPUs are extremely parallel, so reading and writing causes all sorts of cache and coherency problems. As a result, not even the most modern hardware supports this properly. The workaround is to make a copy of the screen, or a part of the screen, to a back-buffer and then read from it while drawing. Godot provides a few tools that make this process easy! results in an invisible object, because it just shows what lies behind. The reason why textureLod must be used is because, when Godot copies back a chunk of the screen, it also does an efficient separatable gaussian blur to its mipmaps. This allows for not only reading from the screen, but reading from it with different amounts of blur at no cost. While this seems magical, it’s not. The SCREEN_TEXTURE built-in, when first found in a node that is about to be drawn, does a full-screen copy to a back-buffer. Subsequent nodes that use it in shaders will not have the screen copied for them, because this ends up being inefficient. 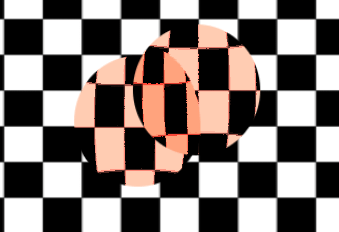 In the above image, the second sphere (top right) is using the same source for SCREEN_TEXTURE as the first one below, so the first one “disappears”, or is not visible. In 3D, this is unavoidable because copying happens when opaque rendering completes. If a node uses the SCREEN_TEXTURE, the entire screen is copied to the back buffer before drawing that node. This only happens the first time; subsequent nodes do not trigger this. If a BackBufferCopy node was processed before the situation in the point above (even if SCREEN_TEXTURE was not used), the behavior described in the point above does not happen. In other words, automatic copying of the entire screen only happens if SCREEN_TEXTURE is used in a node for the first time and no BackBufferCopy node (not disabled) was found before in tree-order. BackBufferCopy can copy either the entire screen or a region. If set to only a region (not the whole screen) and your shader uses pixels not in the region copied, the result of that read is undefined (most likely garbage from previous frames). In other words, it’s possible to use BackBufferCopy to copy back a region of the screen and then use SCREEN_TEXTURE on a different region. Avoid this behavior! For 3D Shaders, it’s also possible to access the screen depth buffer. For this, the DEPTH_TEXTURE built-in is used. 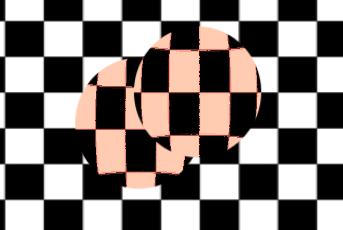 This texture is not linear; it must be converted via the inverse projection matrix.